Microsoft has another trade-in deal with a higher offer price for Apple devices. The only thing the Microsoft Store loves more than a trade-in deal is a trade-in deal for Apple devices. 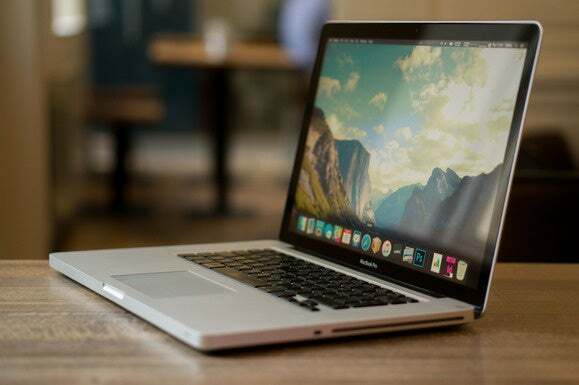 On Thursday, the company launched its latest appeal to Apple owners by offering up to $300 for MacBook trade-ins. You can also trade-in other riffraff running that Windows thing for up to $200 back. Surface trade-ins are not allowed, nor are laptops not intended for sale in the U.S. and Canada (gray market/imported devices). As usual, it’s not as simple as sliding your old laptop across the counter for a rebate while you purchase a new one, and you'll have to front the entire cost of your new PC before receiving the value of your trade-in. First, the new Windows 8.1 or 10 PC you're buying must have a purchase price of $599 or more, it cannot be running Windows Pro, and you have to buy it at a Microsoft Store in the U.S. or Canada between now and October 20, 2015. Microsoft has a complete list of qualifying purchase models on its site. Then, you must file a claim on Microsoft’s dedicated trade-in site within 14 days of your new purchase. Then once your trade-in is approved, you just pack it up and send it off per instructions you receive via email. Trade-in laptops must be shipped within thirty days of your purchase. Once that’s done, you will receive your payment “within 28 days of validation of your claim.” Microsoft does not clarify in what form you’ll get your payment, but it appears to be an electronic cash deposit in your bank account. Laptops, whether running Windows or Mac, will not be accepted unless they’re in working order. That means no missing power cords, batteries, or major defects like a cracked or broken screen. Your laptop must also be six years old or younger and have a minimum display size of 11.3 inches. The story behind the story: Microsoft’s trade-in offer is an appeal to boost retail sales and win over more Windows 10 converts before the holiday season kicks off in a few weeks. It’s unfortunate the company decided to revert to the traditional Mac vs. PC stance for this promotion. With so many XP and Windows 7 PCs floating around, a special trade-in offer aimed at regular Windows users would’ve been a good way to move more people to Windows 10. In 2013, Microsoft ran a similar trade-in deal for tablets where it paid up to $350 for anyone trading in iPads for Surface devices.